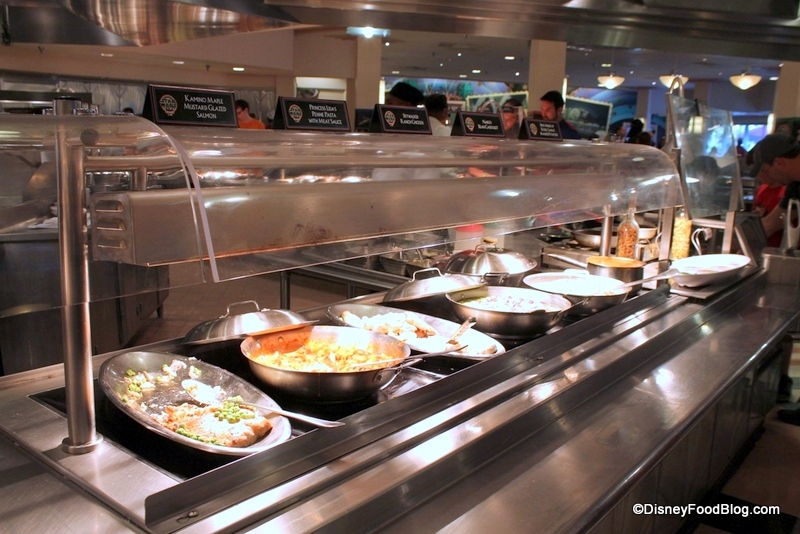 Are you ready for a delicious dinner buffet served up with a side of THE FORCE?! I sure hope so, because a long time ago (a few hours now) in a galaxy far, far away (Disney’s Hollywood Studios) we attended the debut evening of the Jedi Mickey’s Star Wars Dine at Hollywood and Vine! 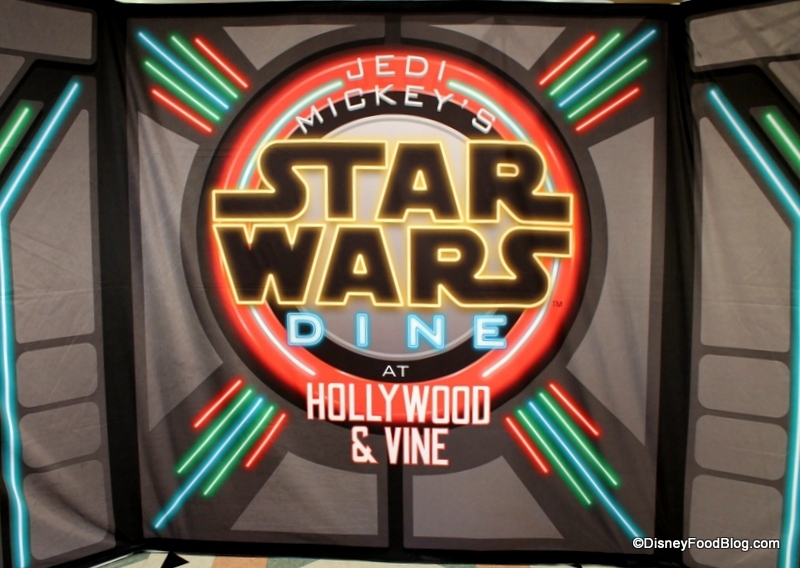 We JUST returned from the long-awaited new character dining meal in Disney’s Hollywood Studios featuring…yup!…STAR WARS CHARACTERS! 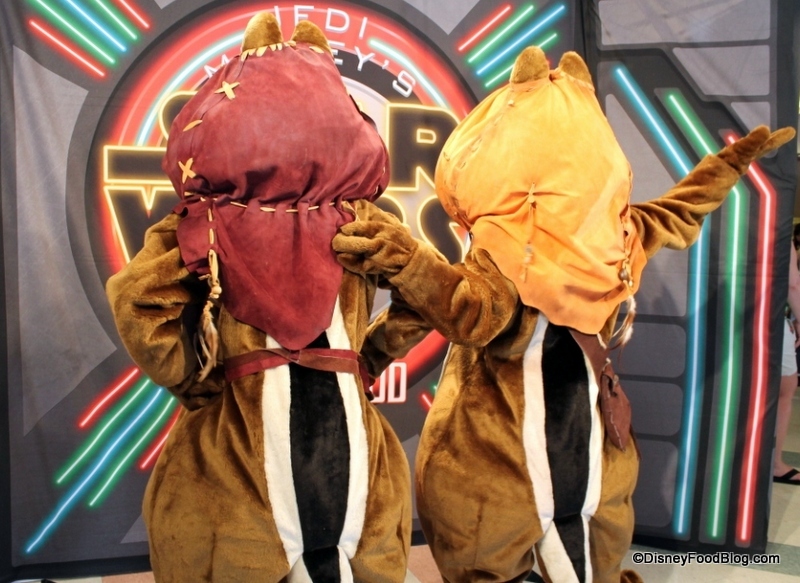 Well, not exactly Star Wars characters; this was BETTER than Star Wars characters because it was Disney characters dressed up as Star Wars characters!! 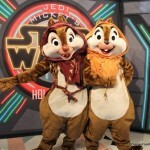 Ewok Chip and Dale welcome you! Now, let’s dive in and check out the Cantina… uh, I mean, the scene! Staged (see what I did there?) 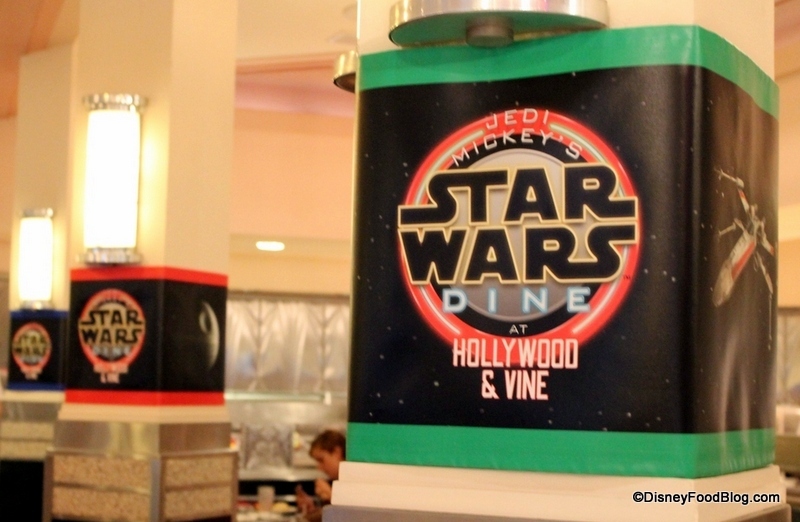 at Disney’s Hollywood Studios’ Hollywood and Vine Restaurant — which normally houses Disney Junior characters — the new Star Wars Weekends character meal was nearly an immediate sell-out when we announced it just over a month ago. 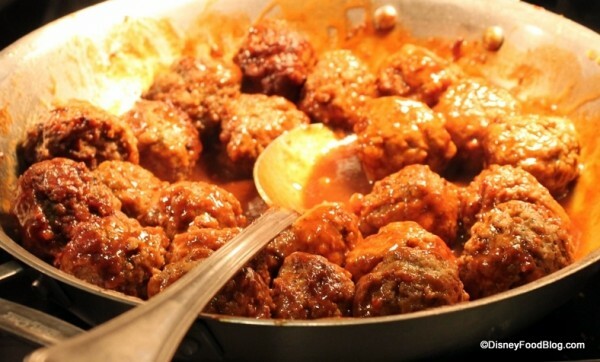 The restaurant is set up as a buffet, which means you’re able to set the pace of your meal and make sure you’re at your table when the characters come your way. 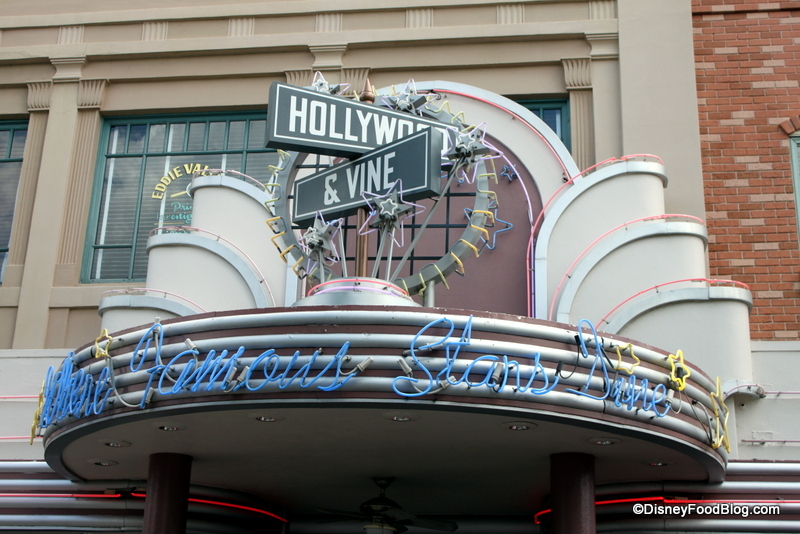 Hollywood & Vine is themed as a vintage “Cafeteria to the Stars” (and the art deco decor on the buffet makes it stand out a teensy tiny bit from its companions around Walt Disney World). However, for this event, the place received a bit of a galactic makeover! 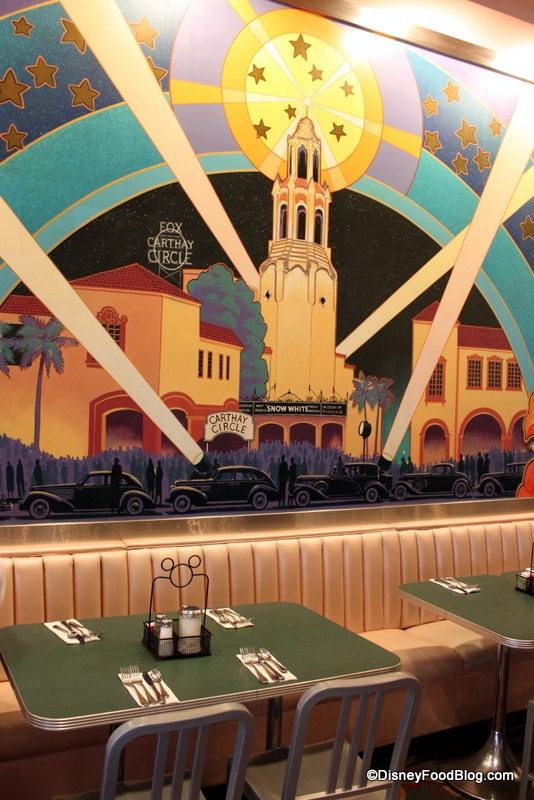 Otherwise, a relatively neutral backdrop featuring photos of old Hollywood, a big ol’ mural, and aluminum tables and chairs means that the characters really are the feature here. Speaking of…the characters! That’s what you really want to hear about, right? 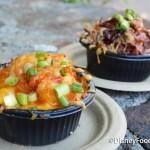 Enough pictures of seating, DisneyFoodBlog…let’s get to the fun! There, that’s better! After your picture, your photographer will hand you a special Photopass card just for the occasion: your picture with Chip & Dale is included in the cost of this experience. Clearly, everyone is excited about this 😉 ! … and JEDI MICKEY himself, striking his best Jedi pose! I will say that the meetings with the characters were a bit brief compared with some other character meals I’ve experienced — the house was packed. But even so, we got to meet and have our photos taken with every single character, and were happy with each visit. And as I saw the characters interact with the kids, it seemed that there were plenty of hugs and autographs going around. The general mood was just high-energy FUN. … and blue on the other. 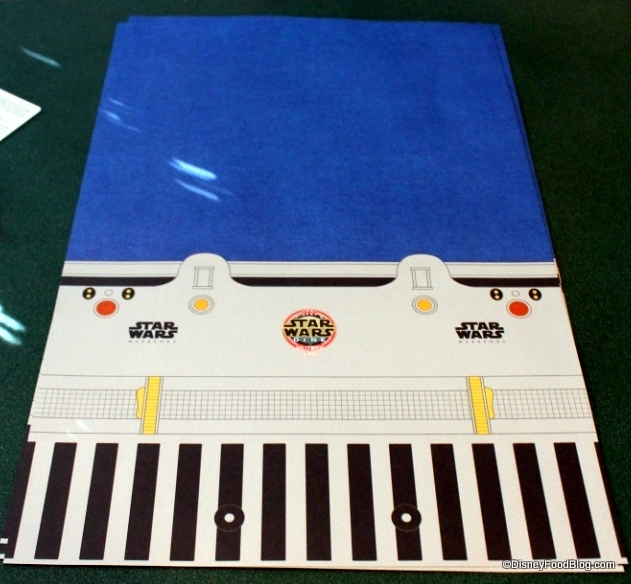 What appears to be merely paper transforms into a LIGHT SABER! 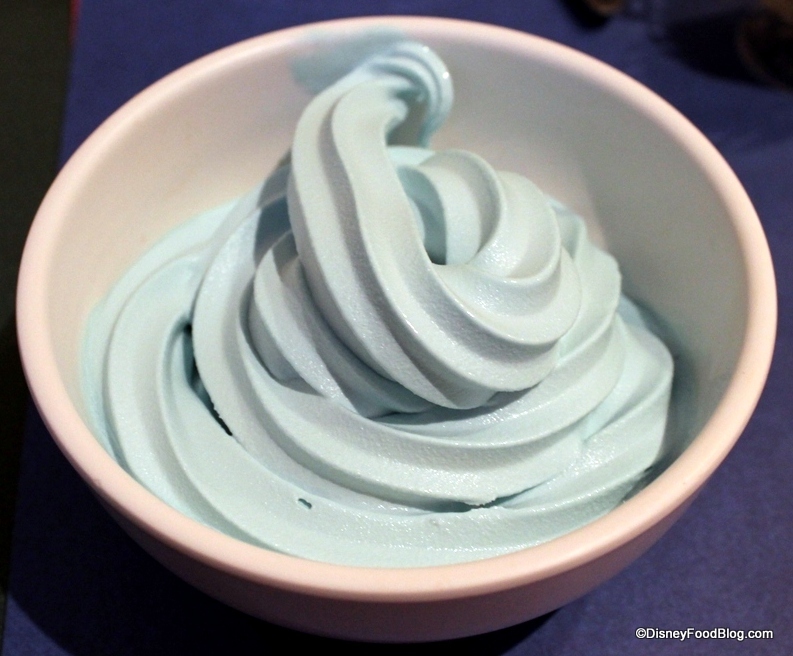 Blue for Jedi Mickey’s side! 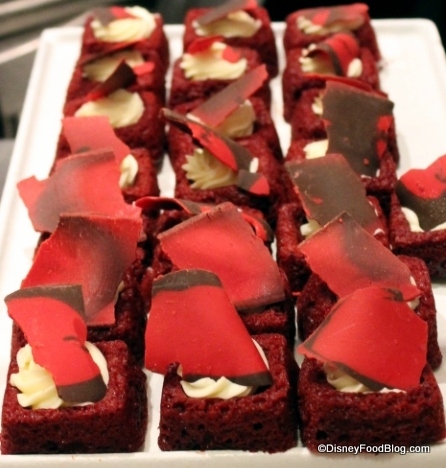 Throughout the meal, guests are invited to choose their color: fold your paper to show blue if you’re on Mickey and Minnie’s side (the Alliance), or red for Goofy and Donald (the Empire). I thought it was super clever how they didn’t ask kids to choose between the dark side and the good guys — basically, you just picked your favorite character, waved your light saber like crazy, and let out a holler! (This is also, by the way, a great little energy spender for kids who are really excited while waiting for the characters to arrive at their table). 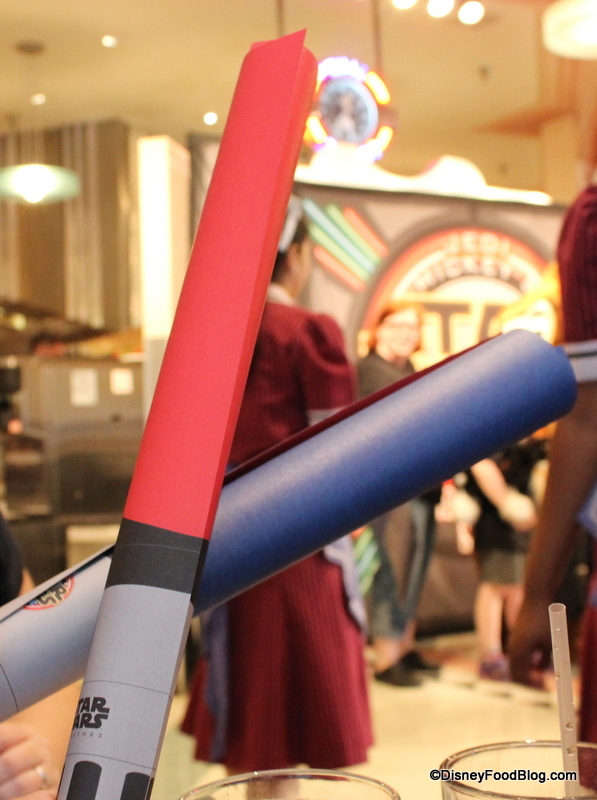 I noticed impromptu light saber battles happening all around the restaurant, primarily between fathers and their kids (and, yep, a few pairs of full-grown adults, too!). 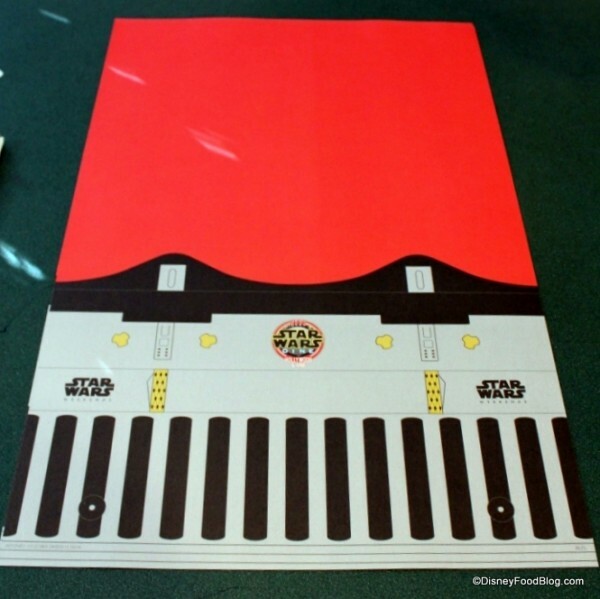 I would LOVE to see a more permanent souvenir available for the kids with this meal, like a small, plastic red or blue light saber — the paper ones were such a hit, I think something like that would be an extra thrill and terrific touch. For all this talk of children, you should know that my friend and I — both adults — felt right at home, and there were plenty of other adults-only groups for this event. While this is not the case with the typical Disney Junior meals featured throughout the year here, please don’t shy away from this event if you would like to go but don’t have children to bring. All Star Wars fans are welcome, both young and not-so-much 🙂 ! 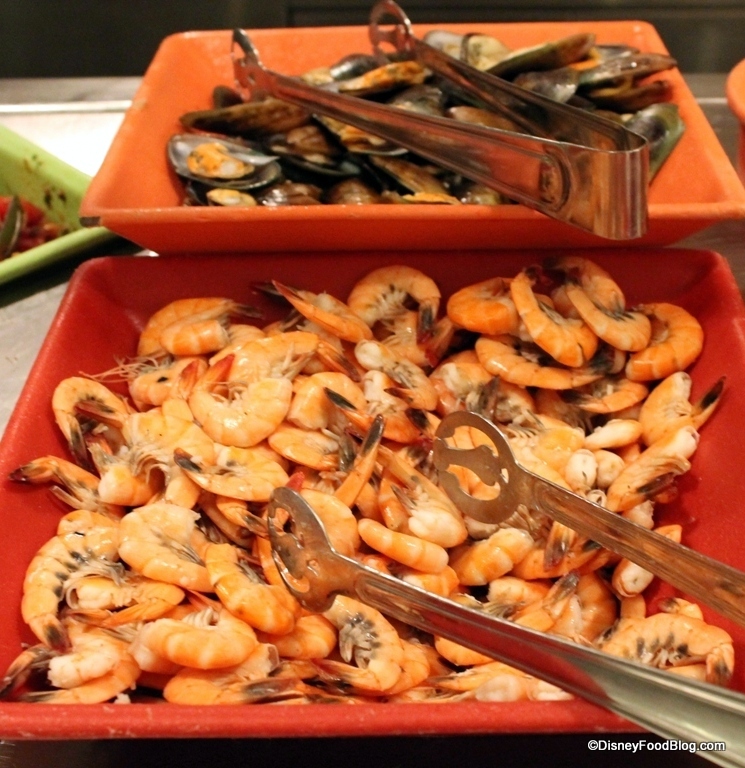 I think the Hollywood and Vine buffet offers some truly unique choices compared with some other buffets on property, but on this evening, the fare was a little extra special. 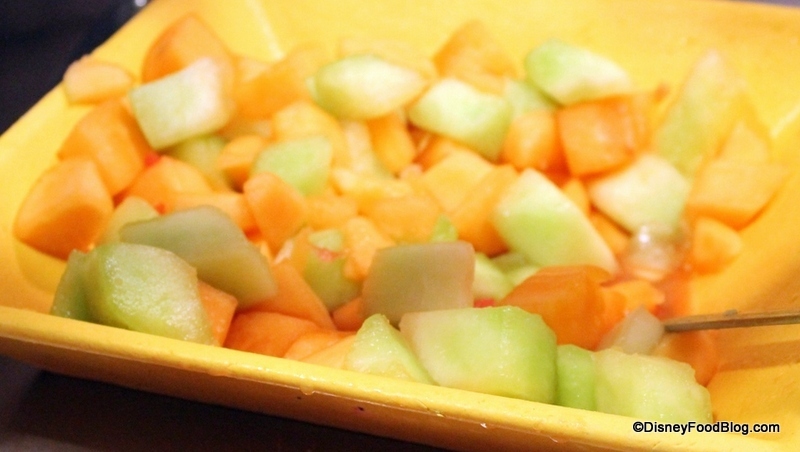 Things started in a fairly typical fashion with the salads, fruit, breads, and the cold bar. 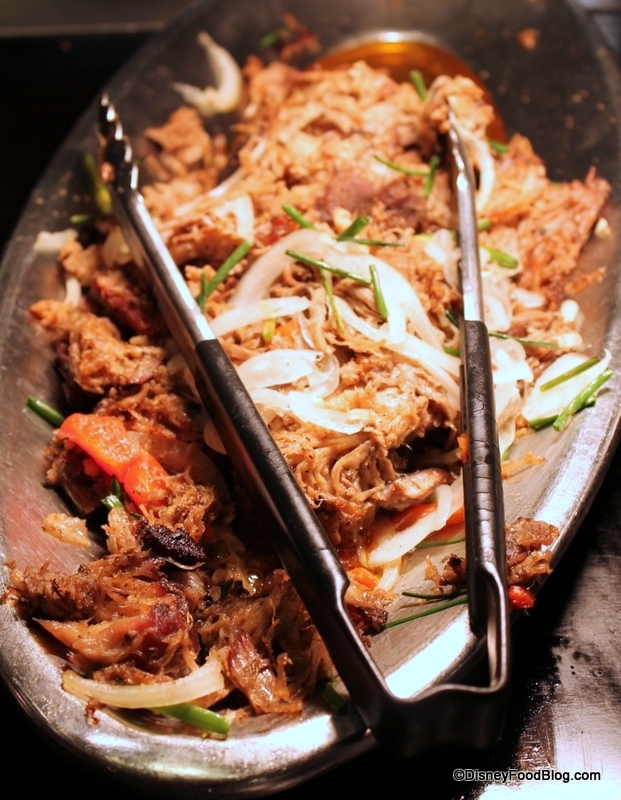 But moving foward, we didn’t just have a chance to try pork, chicken, beef, etc… oh, no! 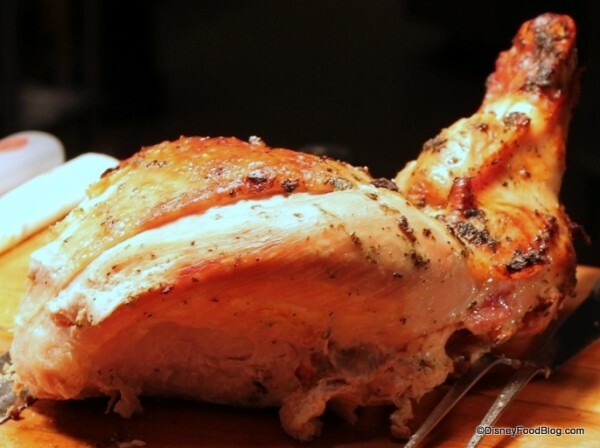 On this night we ate everything from Tusken Raider Chicken, to Salacious Crumb’s Crusted Pork (an absolute standout! 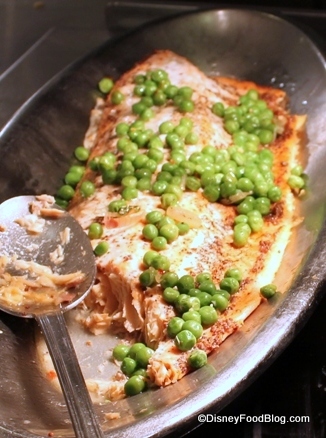 ), to Kamino Maple Mustard-Glazed Salmon. 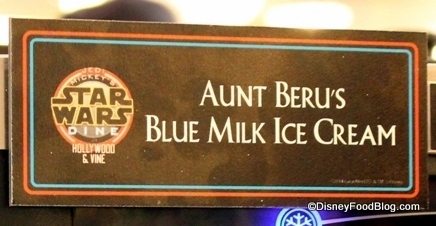 Reading the Star Wars names for the dishes was nearly as fun as eating it all! 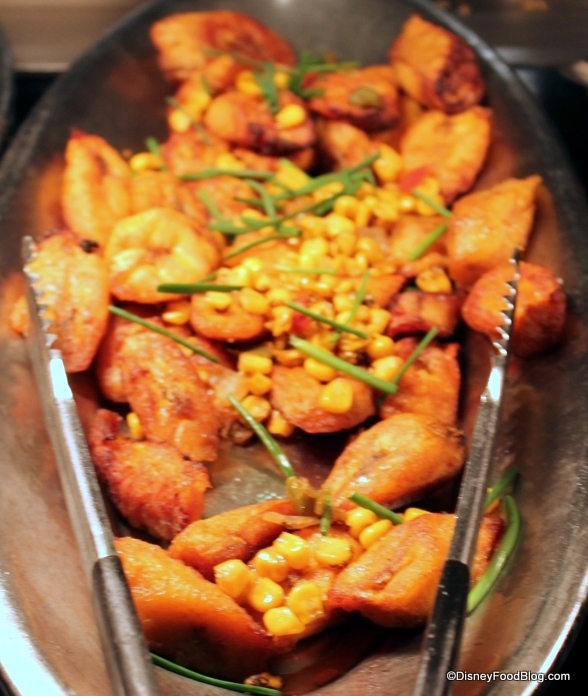 Even beyond the fun names, the entrees were plentiful and varied. 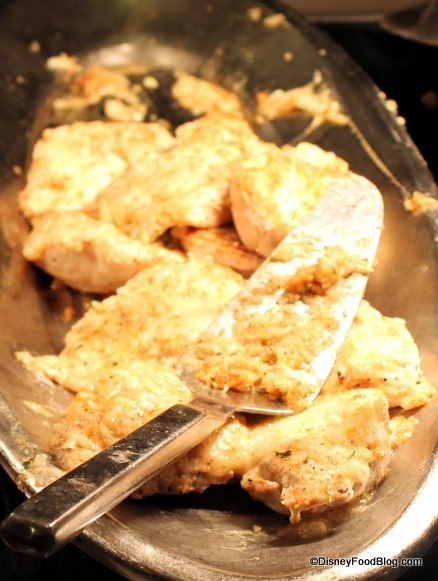 We also had Skywalker Ranch Chicken, Princess Leia’s Penne Pasta (not the best option, erring on the side of mushy and a bit overdone — no offense, Princess), and Mos Eisley Barbecued Meatballs (which, on the other hand, totally rocked and I wish I were still eating some right now). 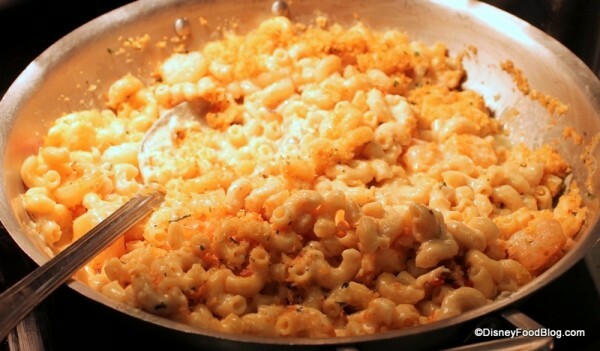 If you’re a seafood fan, you can’t pass up Lando’s Lobster and Shrimp Macaroni and Cheese. Excellent! 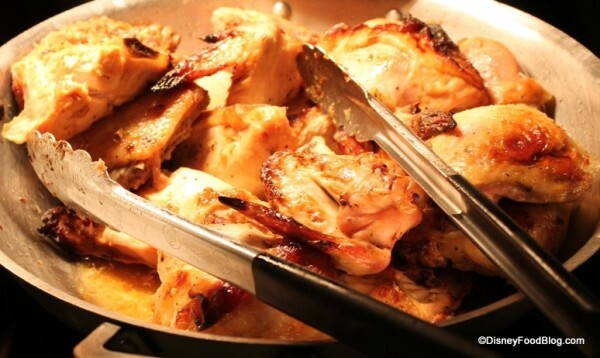 And we certainly can’t go without mentioning Luke’s Chipotle Citrus Barbeque Chicken (…wait for it…) THIGHWALKERS!!! 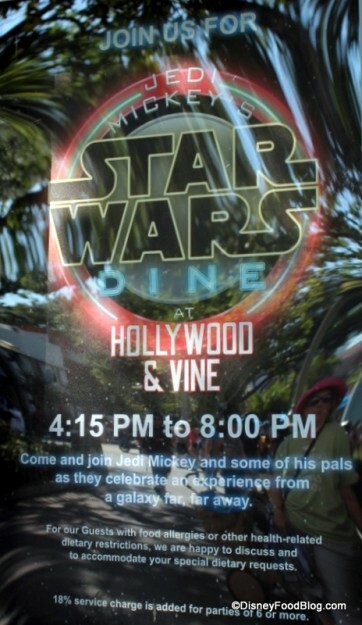 Additionally, guests could enjoy the Jedi Council Carving Station, featuring Dexter Jettster’s Herb-Roasted Turkey and Kessel Run Roasted Strip Loin. 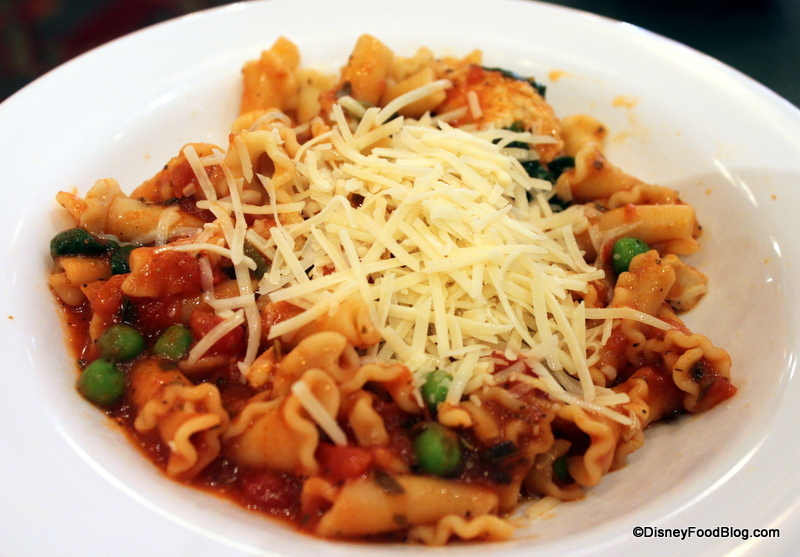 And Hollywood and Vine’s unique Create-Your-Own Pasta Station belonged to the Dark Side as Palpatine’s Pasta Station. 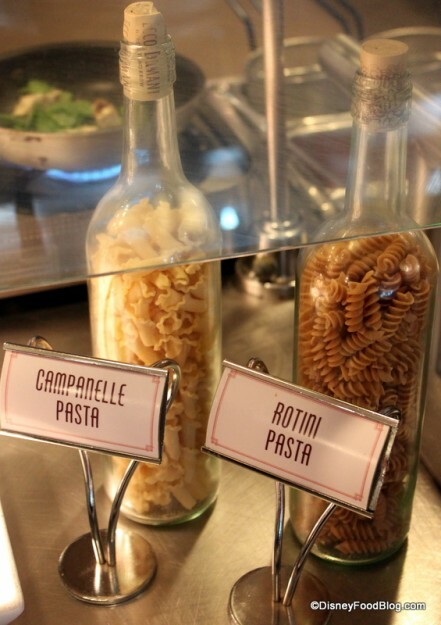 Create Your Own Pasta results! 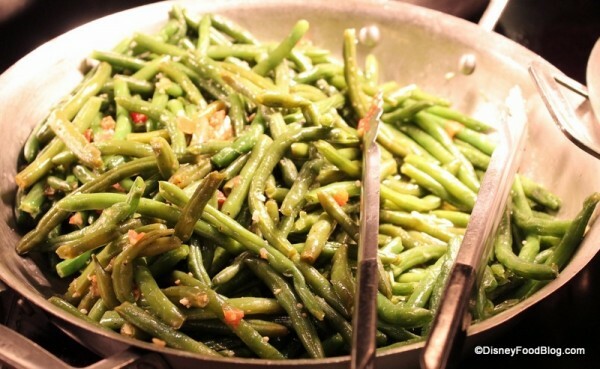 I’m a “sides” girl, and was happily pleased with the choices. While some were fairly simple, they were tasty: they included Cantina Corn, Greedo’s Green Beans with Garlic and Tomato, and Naboo Bean Cassoulet. Other choices included Qui-Gon’s Quinoa and Brown Rice Pilaf, C-3PO’s Cream Corn Spoon Bread, and Solo’s Sweet Plantains. 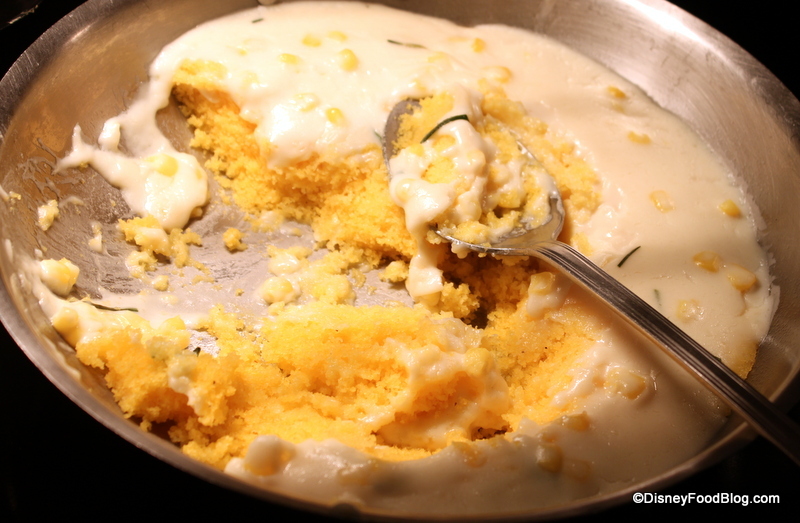 They also included the most ridiculously awesome hot and yummy Mashed Potatoes and I can’t believe I didn’t get a picture of them on the buffet. Guess I was too ready to dive in! Here they are on my first simple plate — you know how it is, at first you’re overwhelmed with so many choices that you dive right into your favorites! Let’s not forget the Padawans! The Kid’s Buffet features Wicket the Ewok’s Macaroni and Cheese, Chewbacca’s Chicken Tenders, Ahsoka Tano’s Tater Barrels, and Yoda’s Steamed Broccoli and Carrots. Now, let’s talk desserts! 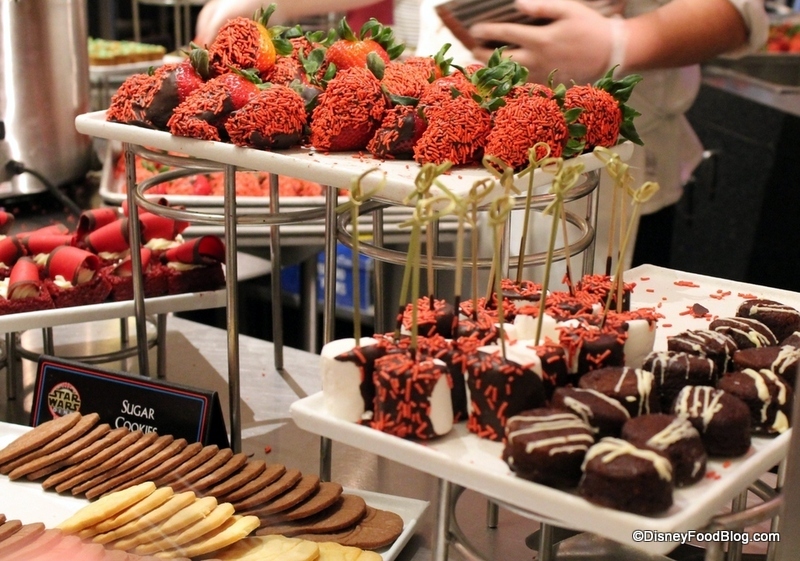 While much of the buffet was a renaming of many standard Hollywood and Vine dishes, some of the desserts were unique to this event. 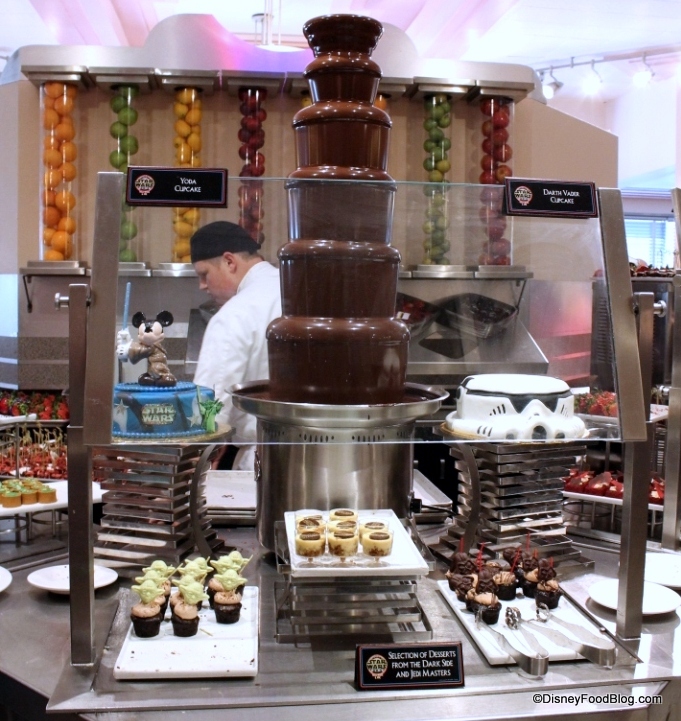 Hollywood and Vine’s signature Chocolate Fountain was very much present, and every single dessert was Star Wars themed! 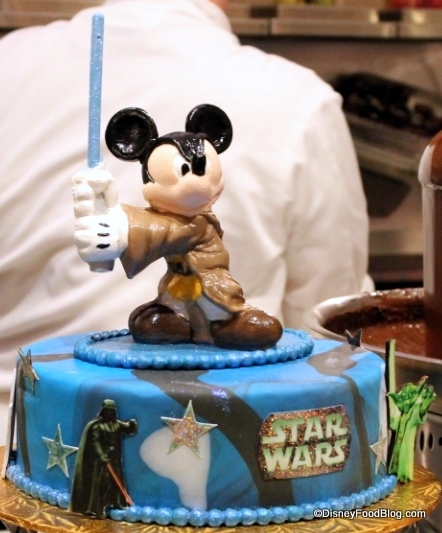 One side of the fountain featured Jedi desserts and this awesome Jedi Mickey display cake. 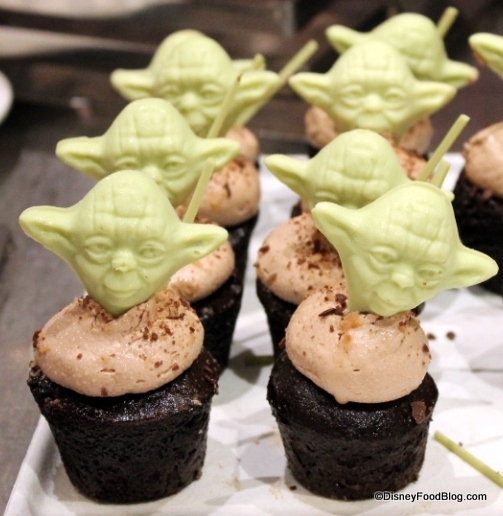 The Jedi spread included Yoda mini cupcakes, R2-D2 No Added Sugar Cheesecake, chocolate-dipped strawberries with blue sprinkles (again, a Jedi Light Saber color), and bright green key-lime tarts (green — the other Jedi saber of choice!). 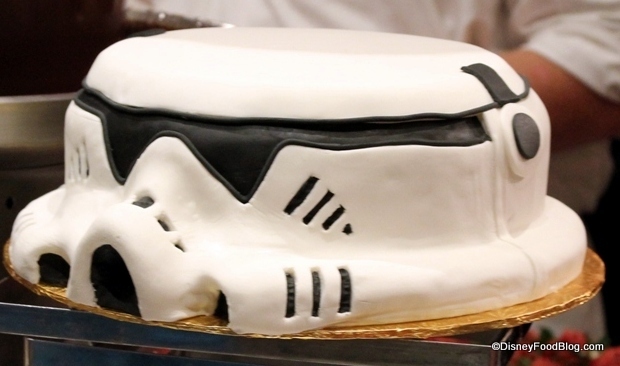 The Dark Side of the dessert table featured this Stormtrooper display cake! Dark Side desserts included Darth Vader mini cupcakes, and all things red to match those red light sabers: Red Velvet Cake, as well as more chocolate-dipped strawberries and Boba’s dipped Brownies and Marshmallows. Those strawberries, by the way, could tempt anyone to come to the Dark Side. All in all, there is something to please everyone, no matter which side you’re on! 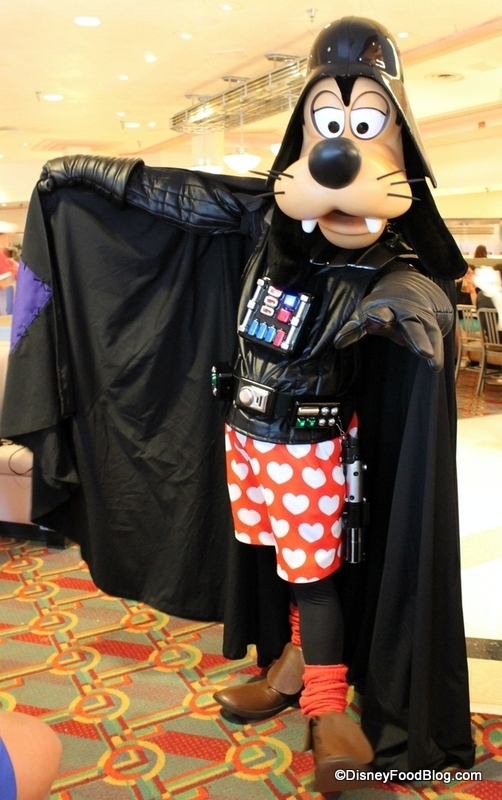 This character meal, in addition to one featuring Darth Vader himself over at Sci-Fi Dine-In Theater on the other side of the Studios are two big additions to this year’s Star Wars Weekends (and these two weeks prior). For those who love these characters, this is a huge time-saver and win when it comes to getting autographs. I’ve stood in line for 50 minutes in 95 degrees with no shade to get my picture with Jedi Mickey and Minnie during Star Wars Weekends, not to mention an hour and a half for a photo-opp with Chewbacca. (I also took tent-shifts with my friends for three days to get our tickets for Star Wars Episode I: The Phantom Menace… but that’s another story for another time). My point is this: since these characters only come out once a year for a few weeks, there is never a short line to greet them. Add that May is when temps start to reach the 90s in Florida… well, you could easily spend three hours in the summer sun trying to get pictures with all of the characters available here. Wouldn’t you rather sit back, have a leisurely meal, engage in a saber battle or two, and get your autographs in the process? A few logistics: the cost of this experience is $55.99 adults and $33.99 kids 3-9, or two table service credits for those on the Disney Dining Plan. The event does not accept Tables in Wonderland; however, Disney Visa Cardholder discounts were honored last night (though blackout dates may be applied in the future — it’s best to check with your server upon arrival in case the discount continues to be honored). 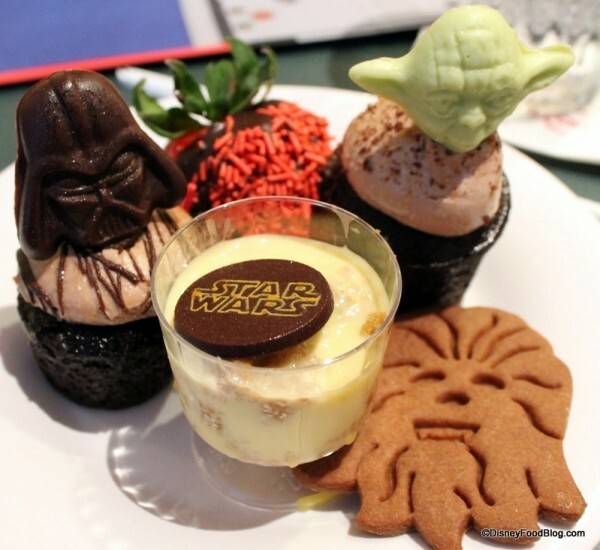 Our fingers are crossed that one or both of the Star Wars themed meals stick around long-term after the Weekends are over. 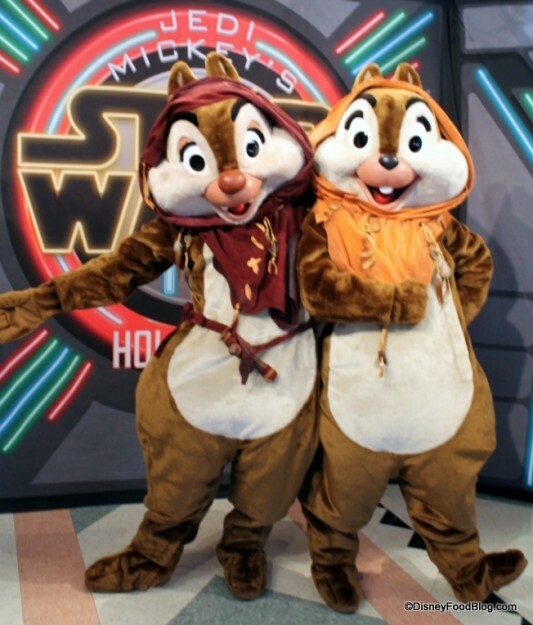 After all, now that Disney’s moving forward with more episodes in the Star Wars film series, doesn’t that mean the characters should have more of a presence in the parks? Hmm? Are you hoping this character meal sticks around full time? Let us know in the comments below! Great review – thank you! 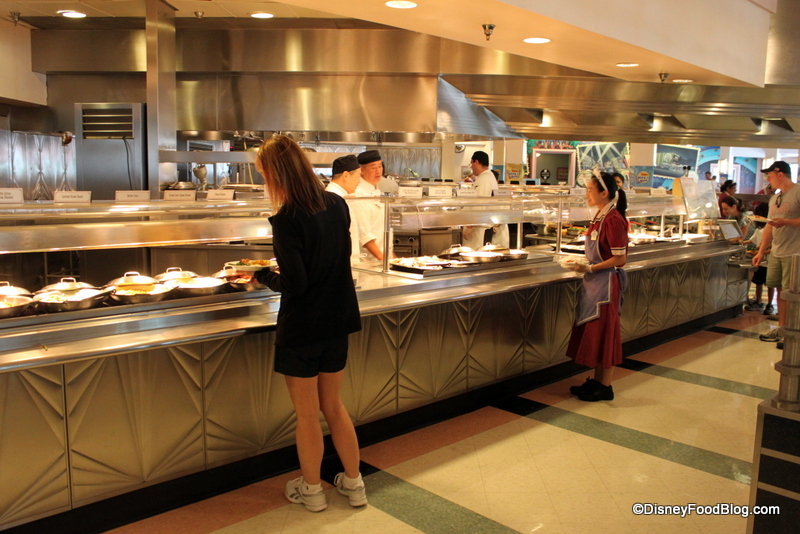 Will you be doing the breakfast at Sci-Fi as well? We have reservations for both the weekend of May 17 and can’t wait! 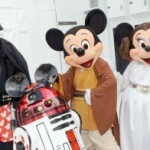 Are you sure they are accepting the Disney Visa discount? I read another review this morning and they said “no discounts of any kind”. I’m hoping you’re right (I have the card). Hi, Suzanne, and thanks so much for your comment and question! They did honor Disney Visa discounts last night — I was surprised, because my understanding was also that discounts would not accepted. However, I’ve updated the wording in case last night was an anomaly. I’d say it’s well worth checking with your server just in case they continue to honor it. I hope you have a wonderful time at your meals :)! Your review and your enthusiasm made me want to try this. 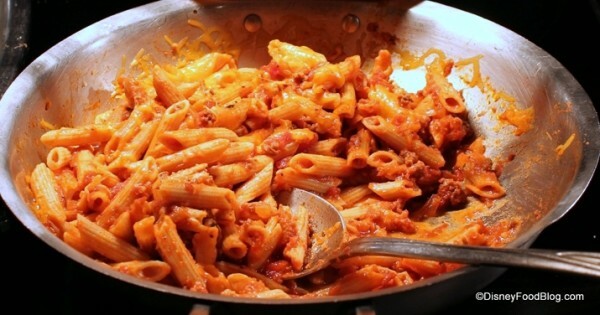 It looks excellent and well worth the cost, which for some Dis meals I don’t think is true. SO, thank you for sharing. This looks like so much fun! I’m glad I already have an ADR for this later this month. 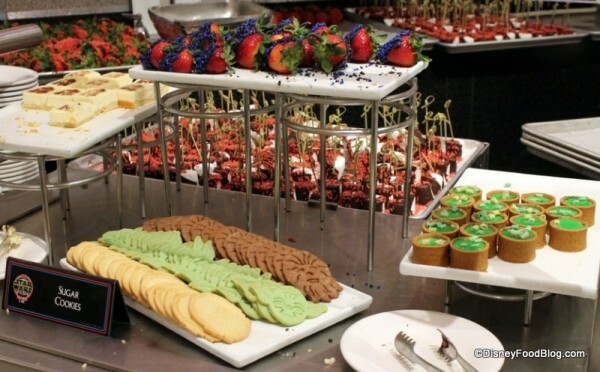 The desserts look amazing! 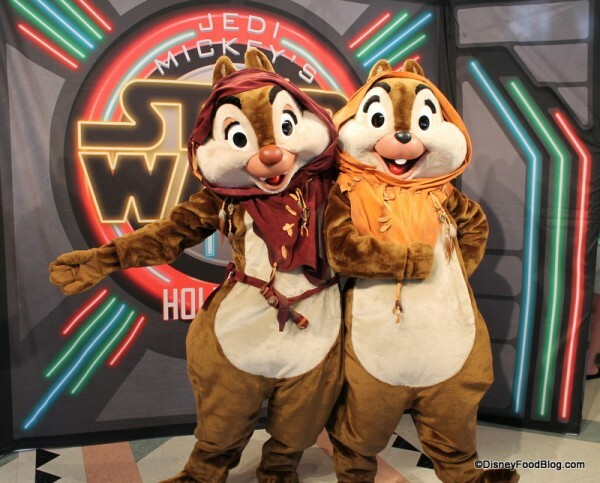 I wonder if they will be the same ones featured at Feel the Force, which I also have reservations for. We ate at the breakfast yesterday morning. We paid with our Disney Visa and there was no discount. I would love to see it stick around. 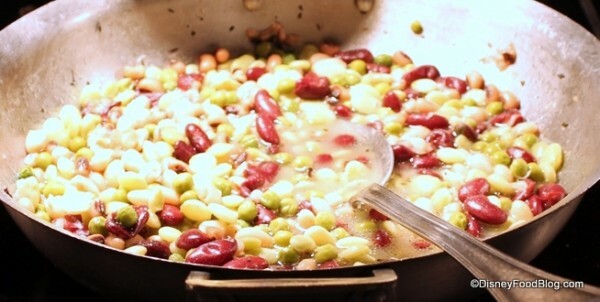 Looks like a fun meal! We would def attend if it does. We’re heading there in 130 days and counting! Sheesh! I would go simply for the desserts. Great review! Thank you! What weekends are they doing this? And is it Friday, Saturday and Sunday? Looks Great! We have reservations for The Sci Fi Breakfast June 7th. I hope they do let us use our Visa Cards for the Discount! Thanks for posting. Does anyone know what they are serving for the Breakfast? I am SO HOPING these stick around for all us Star Wars nerds! 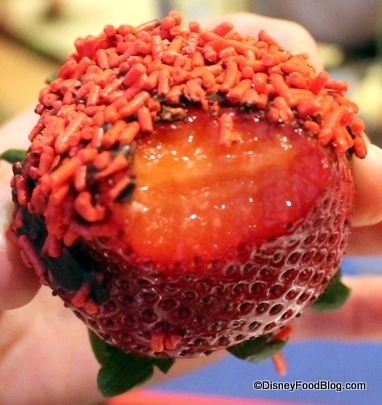 I think the menu for the breakfast is on the Disney website. I have a few pictures of our food from yesterday but it’s so dark in there they aren’t that great. My husband had the French toast and I had the traditional breakfast. My kids got the puffed French toast and the traditional breakfast as well. Although my son barely ate because he was watching the screen the whole time! This would be great to see when we head out in June too bad it’s an event. Please extend this event? We passed on this because the price gave me sticker shock. But we did sign up for the parade/fireworks package. 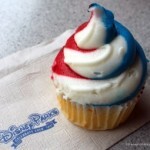 I wonder if these will be the desserts included with the fireworks. If so, I’ll be pleased. 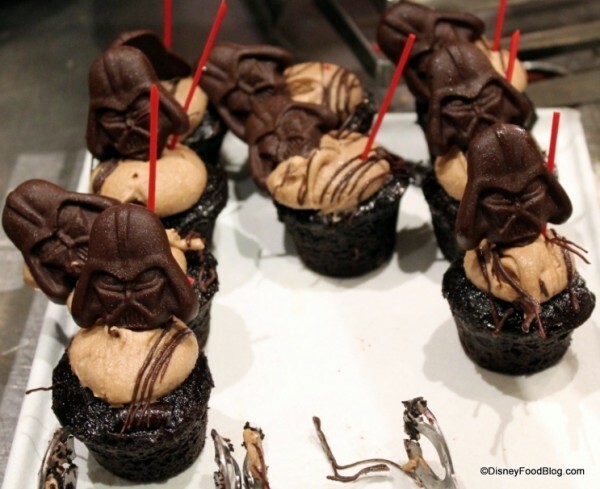 I want a Darth Vader cupcake. The others look good too. Oh my goodness! I wish they would do this year round-I would love to book it for our upcoming November trip. 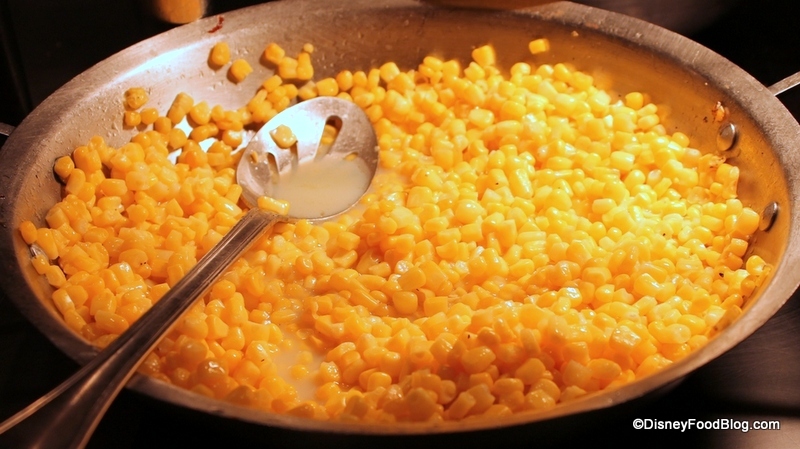 I originally understood that this themed experience also inuded the Fantasmic dinner package. Is that still the case? I didn’t see anything regarding that option on your review. We have ADR for next week and got it in part due to the Fantasmic option. Anybody knows if still available? I managed to snag a reservation for this for May 24th. Your review makes me even more excited! I tried unsuccessfully for countless days to get the reservation, and finally, there it was! One hint for those who are still trying to book, look under both the Hollywood & Vine listing and the Fantasmic Dinner Package listing. When I booked it, Hollywood & Vine showed no availability. Scrolling up, there was a table available at Hollywood & Vine listed under the Fantasmic package option. Thanks for the great review! We have reservations on May 17th and can’t wait. 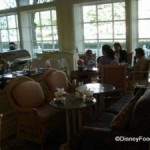 I didn’t realize that there was a discount at any dining locations with the disney visa. What is the discount, if you don’t mind me asking? Thanks! Okay, time for a new restaurant! 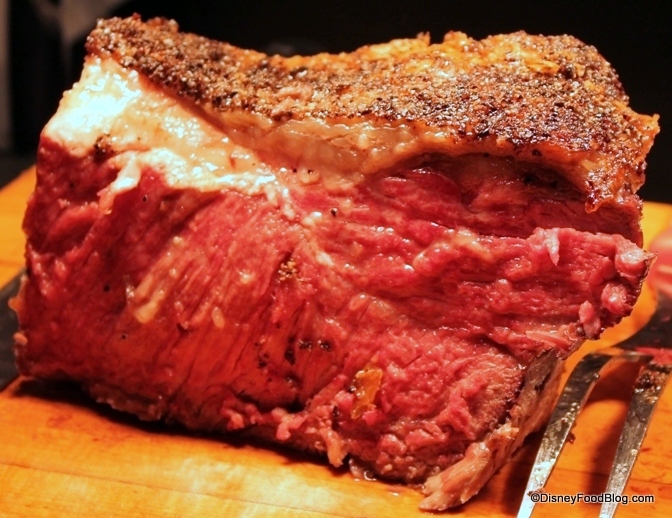 How about it, this looks fantastic but we never can go when they have these weekends! I want those cupcakes…please?!??! Sooooo excited! We will be at this meal on June 10th! Thanks for the great review. Can’t WAIT until May 18 when we go here! And I really hope they have extra lightsaber paper! I have a feeling we’ll need extras! Hope this stays around ,great character meal for boys .. They get tired of everything princess!! We are doing both in June. Can’t wait! I’m sneaking one of each of those sugar cookies out in my backpack! Sooo wish I was there! Looks like a great way to get pumped for SWW! I think the desserts looked awesome. I do doubt that Carrie Fisher ate too much of her Princess Leia pasta before filming Return of the Jedi. 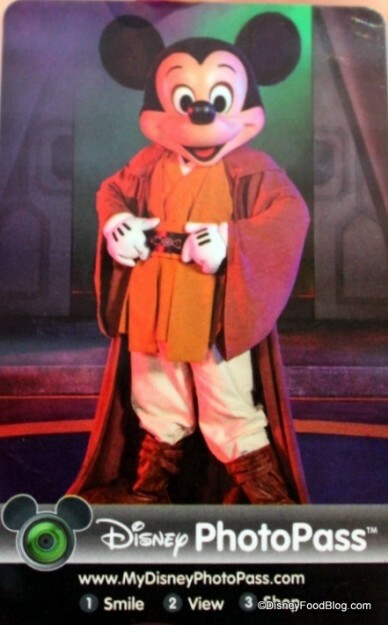 Here’s to Ep 7 and even more Star Wars at WDW! Yay! Thank you – great review! I sure hope it’s permanent. Thanks so much for the comments, everyone, and May the Force be with you ;)! Heather C – Even though the official Star Wars Weekends events only happen on Fridays, Saturdays, and Sundays, they’re actually offering this meal and the breakfast at Sci-Fi daily from now until June 15 :). Thanks! Angel – as of right now, the Star Wars meals are only running through June 15. You may have seen that Nancy B provided some great info on Tables in Wonderland (thanks, Nancy!). I hope you have a great trip in November! Jomar – Hi! They offered one option with Fantasmic and one without. I didn’t choose to include Fantasmic, but I’m sure that if you booked that package then you’re all set for the show :). Enjoy!! Dave – That’s a great tip! Thank you! Have a blast at your meal! 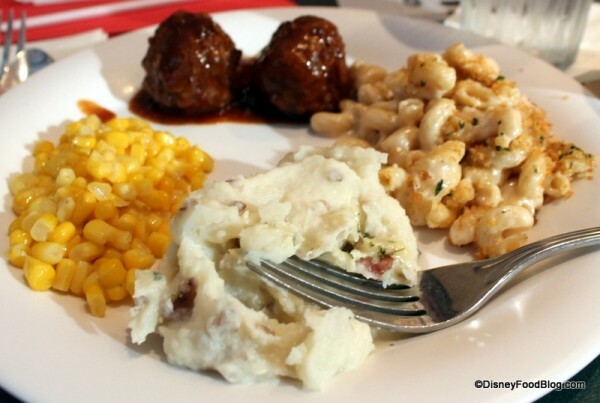 Lori – according to the DV rewards site (disneyrewards.com), the discount is 10% at select dining locations at Disney World, and they have a full list available on the site :). It looks like Sci-Fi Dine-In is not on the list, but Hollywood and Vine is (though it does note “restrictions apply,” and I’m not sure if this event might be restricted in the future). Hope that helps! 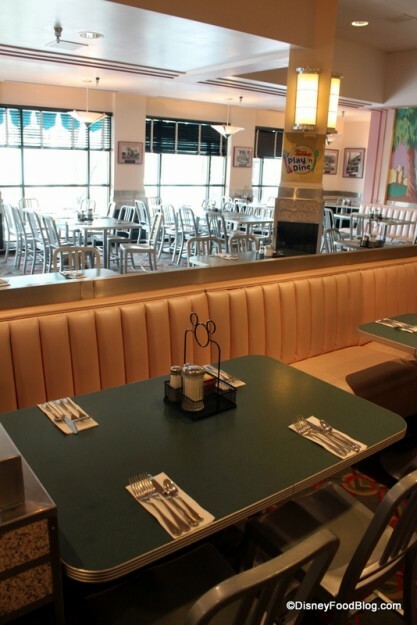 I’m eager to see a review on the breakfast at the SciFi Diner – as we have tickets for that on Thursday the 15th, then enjoying via the “Rebel Rendezvous” (yeah we shelled out the bucks for it) all the fun merch & characters! 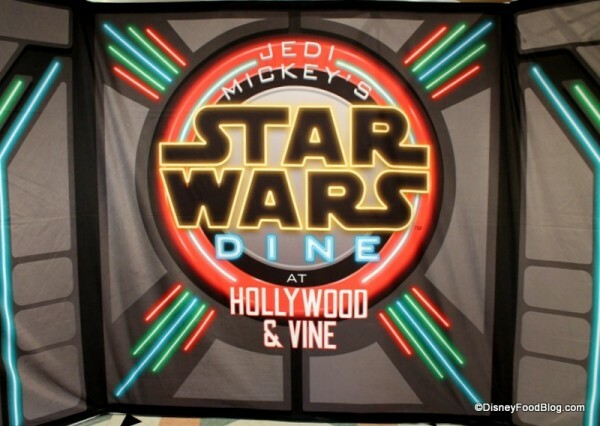 Hollywood and vine is one of our favourite restaurants, let’s keep the Star Wars theme right through the year!! Please!!!!!!! I have seen reference that if on the DDP , it will cost/deduct 2 adult credits for kids 3-9. is this correct? Please advise. Thanks! YESSSSSSS! Please keep this around so I can surprise my husband and take him!!!! 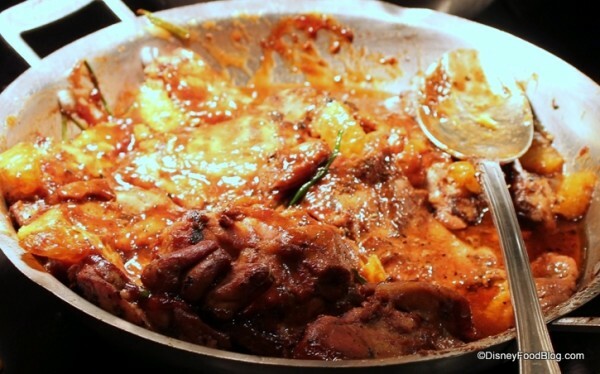 We were able to attend this meal on Tuesday night with a 5:15ADR. It was the highlight of our week long trip! We were not able to use any discounts at this meal, and while it was expensive, it was worth the price. Waaaaaa! Price shock!!!!! I’m one of the few local fockle and I would love to go but for $55/person I can go to Charley’s Steakhouse and have a 14oc with sides. This saddens me. Yes, it’s a “Special Events Ticket” but wow. $110 for dinner for two and I’m sure the soda isn’t included…sorry to be negative Nelly here but Florida just doesn’t pay that much to make this affordable. WHY WHY WHY can’t they extend this??? It just makes sense. We are going in mid-July and it fills a much-needed hole for character dining geared towards boys. Sighhh. 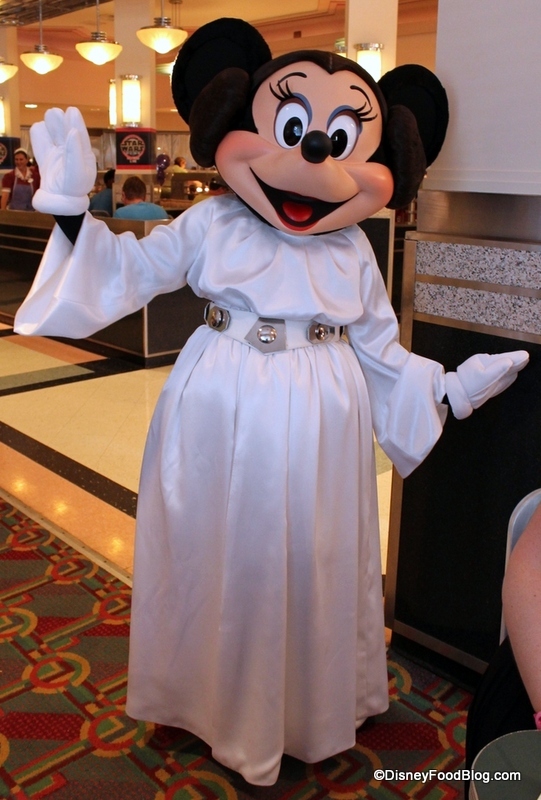 Will this character dining happen all year? Even in december? Went to this on May 31st and I have to agree with some of the posts concerned about the price…the price of this event is just too high. Now I obviously knew the price when I made the reservations, but I wanted to do something special for my kids (isn’t that how Disney gets us 🙂 ). But after spending $225 including tip (2 adults, 2 kids), I’m just not sure it was worth it. The food was OK…some dishes even very good, but if that buffet was anywhere else, it would probably be $29.99 for adults and $14.99 for kids. 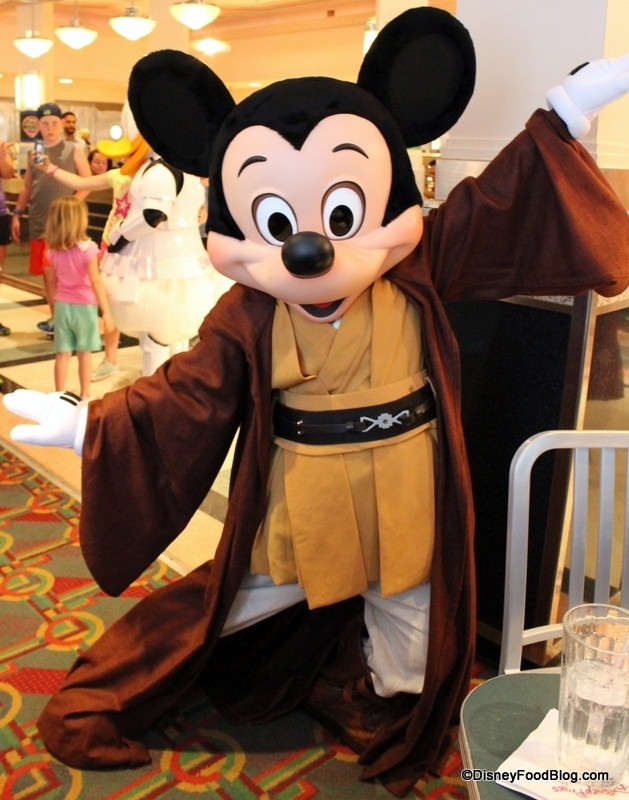 So I essentially paid in the neighborhood of an extra $100 to see Jedi Mickey and friends and some cool desserts. Worth it? Ehh, maybe. I received a survey from Disney after returning home and on the “overall value for price paid” question, I rated it as Poor. Maybe a little harsh, but when I have to pay $35+ for my 5 year old who ate literally 10 bites of food, that’s not good value. 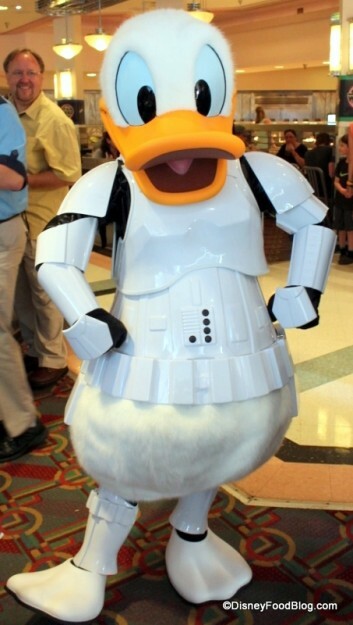 (And believe me, I get the high prices at Disney.) I’m a FL resident passholder so I go quite often. I think I’m OK with the $55 for adults, but a kid 3-9 should be no more than $20. 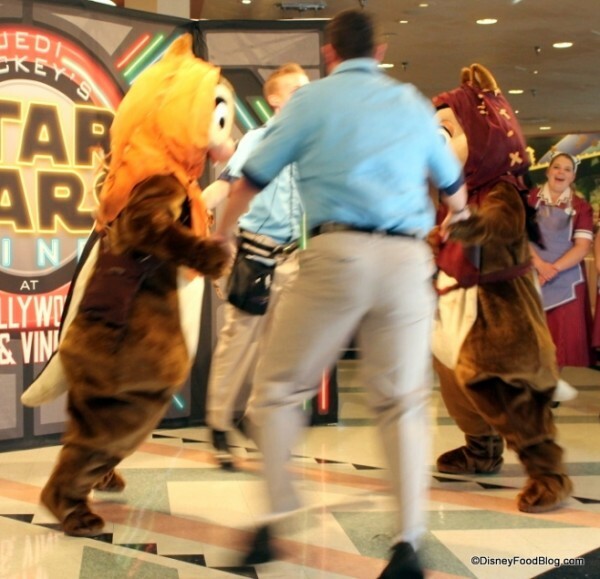 I also indicated on the survey that as a passholder and a big Star Wars fan, I’d likely make this an annual event if the value was even a little better, but at $225 for my family, it will be once and done. Hoping this will be available in 2015, as we specifically are planning our trip for the first week of May!!! Squeeee! Have I mentioned how excited I am to have booked this for May???? 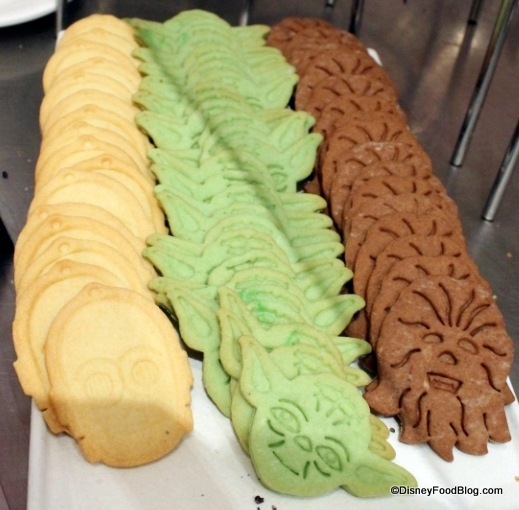 We are going to WDW in November and would absolutely attend both Star Wars themed meals if extended! My family will be down in August and we would be so thrilled if this dining option was available. 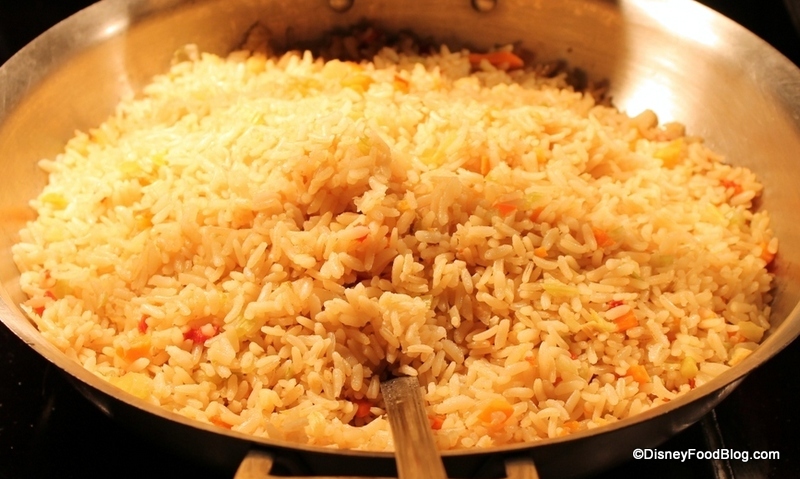 Between myself, my husband, my brothers and now my son… it would be a huge hit for everyone! I hope they bring it back full time.